AIR ACCIDENTS INVESTIGATIONINSTITUTE OF CZECH REPUBLICBeranových 130199 01 PRAHA 99CZ-10-844Copy No. 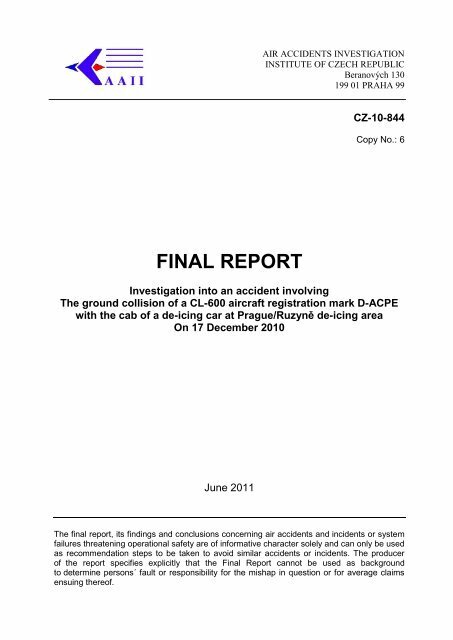 : 6FINAL REPORTInvestigation into an accident involvingThe ground collision of a CL-600 aircraft registration mark D-ACPEwith the cab of a de-icing car at Prague/Ruzyně de-icing areaOn 17 December 2010June 2011The final report, its findings and conclusions concerning air accidents and incidents or systemfailures threatening operational safety are of informative character solely and can only be usedas recommendation steps to be taken to avoid similar accidents or incidents.  The producerof the report specifies explicitly that the Final Report cannot be used as backgroundto determine persons´ fault or responsibility for the mishap in question or for average claimsensuing thereof.